1. INCAS (The National Institute for Aerospace Research "Elie Carafoli") initiated the IAR-T Program in 1997. The main areas of interest are the concept and development of remote controlled aerial vectors. The aim is integration in future systems as autonomous vehicles. The IAR-T Aerial Vehicle: structure from composite materials. The maximum take-off mass is 20 kg, the maximum speed is 180 km/h and the endurance is 30 minutes. IAR-T is powered by a two-stroke engine rated at 4.1 hp / 10000 rpm. The Remote Control System has six channels and allows the control up to 10 km range. The Telemetry System allows real time data acquisition (speed, altitude). The video system sends real time video images , via analog channel, from up to 10 km. The GPS Identification System sends the position of the vehicle relative to a given point. The Programmed Flight System is currently under development and allows the autonomous flight in predefined conditions. · aerial surveillance for civil and military destinations (aerial imagery). · inflight scientific research (meteorology, hidrology, environment monitoring). · military training (aerial targets). · airborne laboratory (aerodynamics, flight dynamics, microgravitation). · high risk environment surveillance for civilian purposes (natural and ecological disasters). 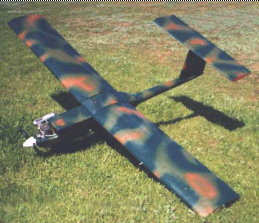 A remote controlled flying model has been developed to validate various features of IAR-T. Some aerial imagery capability has been tested. Since 2003, IAR-T airplane is the support for the SCCC (Command, Control and Communication System) equipment.